"Incredible free auditing/monitoring tool. Indispensable tool for anyone who considers himself a competent Windows sysadmin." Are you worried that there might be an active threat in your environment and you won’t know until it’s too late? 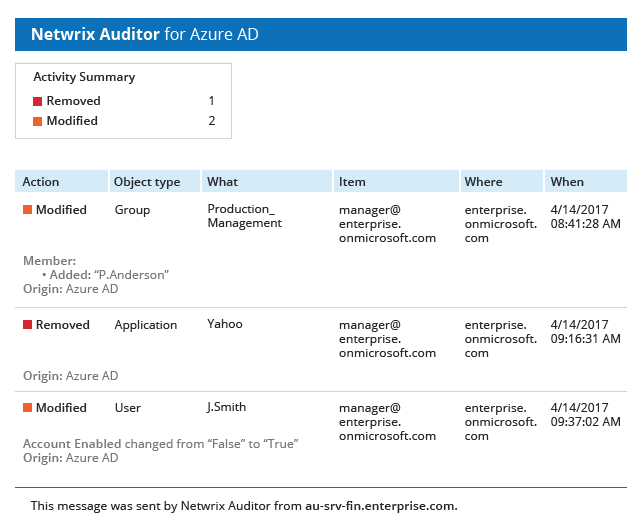 Netwrix Auditor Free Community Edition provides visibility into changes and access events in your hybrid cloud IT environment, so you’ll no longer have to worry about missing critical changes to AD objects, file server permissions, Windows Server configuration, or other security incidents. Did someone modify or add an account in AD? Did someone alter permissions to a sensitive folder on a file server? Did someone access a mailbox they are not supposed to use? 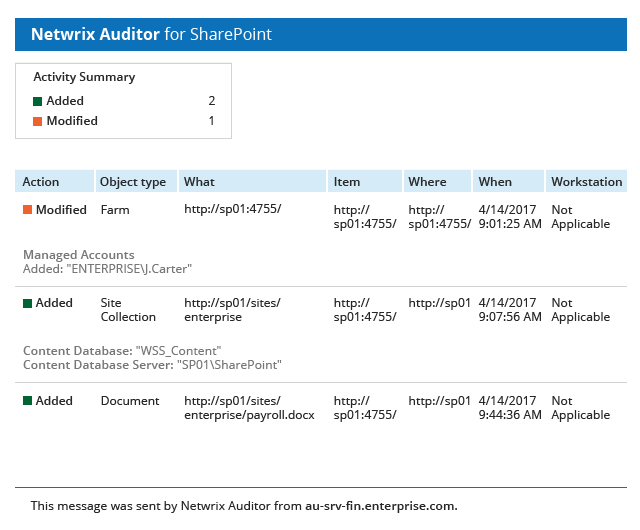 Did someone modify your SharePoint farm configuration? Did someone install suspicious software on your Windows Server? Did someone delete an important SQL Server database? Did someone add new members to a high-security Azure AD group? Tired of manually sifting through mountains of logs or struggling with legacy IT auditing tools? How much time do you spend poring through piles of cryptic log data trying to find out exactly what is happening in your critical systems? Are you frustrated trying to juggle multiple free tools that report on only the events in one particular system? 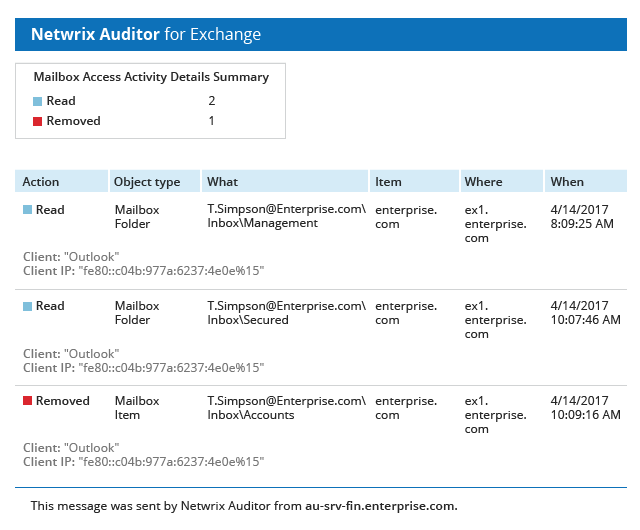 With the free version of Netwrix Auditor, monitoring user activity across your entire environment is as easy as checking your mailbox. "Thanks for the use of your freebie. It worked as you said it should." 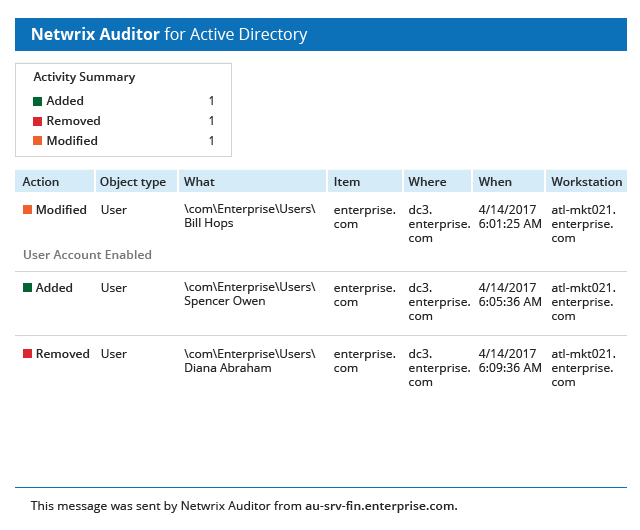 Why Netwrix Auditor Free Community Edition? Tracks all changes and access events in your critical systems and automatically delivers the information straight to your mailbox every single day. Consolidates information from multiple independent sources to transform raw data into meaningful and actionable intelligence. Reports on user activity in your environment for as long as you need it to. 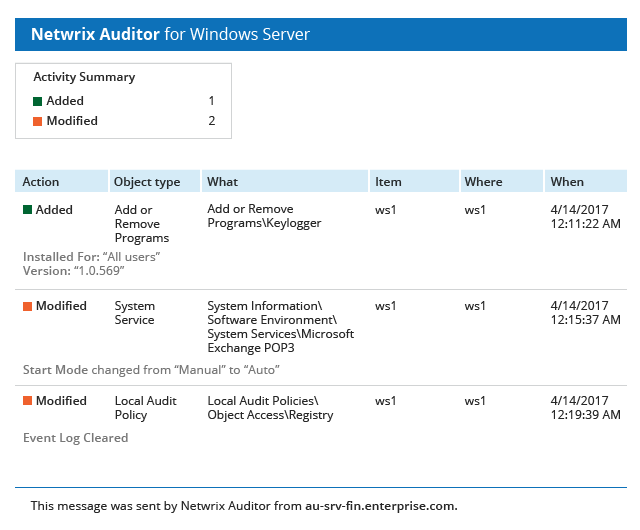 In addition, you get to evaluate the full version of Netwrix Auditor free of charge for 20 days. 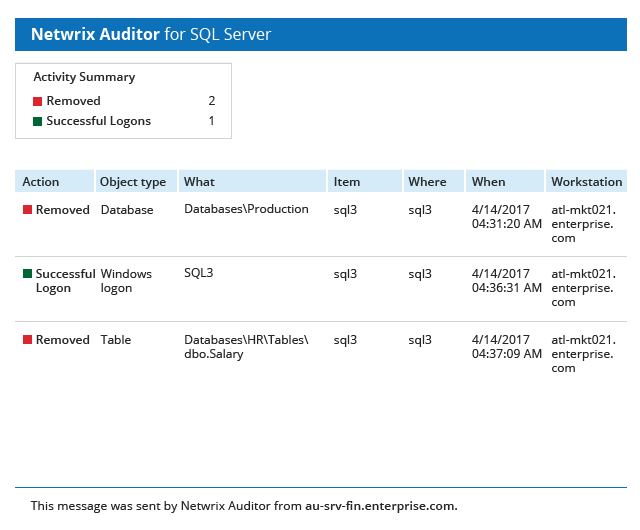 Seamlessly upgrades to the full version of Netwrix Auditor, which delivers complete visibility into user behavior for data security and risk mitigation. IT systems in a unified way. 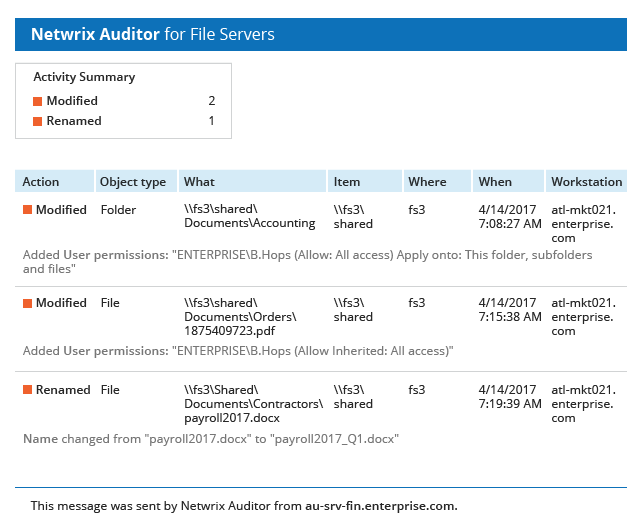 If you need complete visibility into your hybrid environment and want to mitigate security risks and shield your sensitive data from external attacks and malicious insiders, consider upgrading to the standard edition of Netwrix Auditor.